An Act to reform, recapitalize, and consolidate the Federal deposit insurance system, to enhance the regulatory and enforcement powers of Federal financial institutions regulatory agencies, and for other purposes. 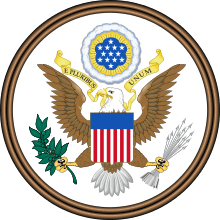 The Financial Institutions Reform, Recovery, and Enforcement Act of 1989 (FIRREA), is a United States federal law enacted in the wake of the savings and loan crisis of the 1980s. It established the Resolution Trust Corporation to close hundreds of insolvent thrifts and provided funds to pay out insurance to their depositors. It transferred thrift regulatory authority from the Federal Home Loan Bank Board to the Office of Thrift Supervision. It dramatically changed the savings and loan industry and its federal regulation, encouraging loan origination. The Federal Home Loan Bank Board (FHLBB) was abolished. The Federal Savings and Loan Insurance Corporation (FSLIC) was abolished, and all assets and liabilities were assumed by the FSLIC Resolution Fund administered by the FDIC and funded by the Financing Corporation (FICO). The Office of Thrift Supervision (OTS), a bureau of the U.S. Treasury Department, was created to charter, regulate, examine, and supervise savings institutions. The Federal Housing Finance Board (FHFB) was created as an independent agency to take the place of the FHLBB, i.e. to oversee the 12 Federal Home Loan Banks (also called district banks) that represent the largest collective source of home mortgage and community credit in the United States. The Savings Association Insurance Fund (SAIF) took the place of the FSLIC as an ongoing insurance fund for thrift institutions (like the FDIC, the FSLIC was a permanent corporation that insured savings and loan accounts up to $100,000). SAIF is administered by the Federal Deposit Insurance Corporation. In addition, FIRREA gives both Freddie Mac and Fannie Mae additional responsibility to support mortgages for low- and moderate-income families (12 U.S.C §1441a–2(b). Authorization for State housing finance agencies and nonprofit entities to purchase mortgage-related assets - Investment requirement). It also created the Bank Insurance Fund (BIF). Both of these funds were to be administered by the Federal Deposit Insurance Corporation. This section of FIRREA was amended by the Federal Deposit Insurance Reform Act of 2005, which consolidated the two funds. FIRREA allowed bank holding companies to acquire thrifts. It established new regulations for real estate appraisals. In addition, the Act established Appraisal Subcommittee (ASC) within the Examination Council of the Federal Financial Institutions Examination Council. It also established new capital reserve requirements. It increased public oversight of the process. It required the agencies to issue Community Reinvestment Act (CRA) ratings publicly and do written performance evaluations using facts and data to support the agencies' conclusions. It also required a four-tiered CRA examination rating system with performance levels of "Outstanding," "Satisfactory," "Needs to Improve," or "Substantial Noncompliance." These rules increased pressure on banks to make mortgage home loans to inner-city and rural areas. Title XI of FIRREA created the Appraisal Subcommittee (ASC) of the Federal Financial Institutions Examination Council (FFIEC) to oversee and monitor appraisal standards. It does not regulate appraisers themselves, but does so indirectly such that if the ASC finds that a particular state’s appraiser regulation and certification program is inadequate, then under the banking agencies’ regulations all appraisers in that state are no longer eligible to do appraisals for depository institutions. To accomplish this, the ASC monitors the activities of the state regulatory agencies and the Appraisal Foundation, which promulgates the generally accepted appraisal standards and qualification standards for state-certified and licensed appraisers. Through the Appraisal Standards Board (ASB) and the minimum standards for appraisal licensure through the Appraiser Qualifications Board (AQB), the Appraisal Foundation publishes the Uniform Standards of Professional Appraisal Practice. The Act, which gives the government broad authority to bring civil claims and has less stringent requirements to establish liability than commercial fraud statutes, was used after the subprime mortgage crisis to attempt to establish the liability of banks that allegedly misrepresented the quality of loans to the Federal Housing Administration, which, relying on the representations of the banks, insured them and subsequently suffered losses. ↑ The Department of the Treasury Blueprint for a Modernized Financial Regulatory Structure (PDF). United States Department of the Treasury. 2008. p. 92. ISBN 978-016080645-2. ↑ Sandra F. Braunstein, Director, Division of Consumer and Community Affairs, The Community Reinvestment Act, Testimony Before the Committee on Financial Services, U.S. House of Representatives, 13 February 2008. ↑ Howard Husock, The Trillion-Dollar Bank Shakedown That Bodes Ill for Cities, City Journal (New York), publication of Manhattan Institute for Policy Research, January 1, 2000. 1 2 3 Treasury 2008, pp. 79–80. ↑ Peter Lattman (October 9, 2012). "U.S. Sues Wells Fargo, Accusing It of Lying About Mortgages" (blog by expert reporter). The New York Times. Retrieved January 24, 2013.